I believe that we have already heard the news of the meteoric rise of CryptoKitties in 2017. Well, CryptoKitties are nothing but digital collectibles issued as standard non-fungible tokens over a blockchain like Ethereum. Well, let me simply more for you. For example, as we have physical collectibles in the real world like antiques, toys, coins, comic books and stamps, card games we now have digital collectibles. Just like physical collectibles (WWE Trump Cards or Pokemon Trumps), these digital collectibles are also unique. And this uniqueness in the digital world is made possible by blockchain tokens called as non-fungible tokens (NFTs), but I think to understand NFTs better you first need to understand fungible tokens. ERC20 standard ERC721, ERC1155, QRC721 etc.. There has always been a debate as which are the best fungible tokens or non-fungible tokens, but in my opinion, each one is suited for different usecases so there shouldn’t be a question of who is the best? A Fungible token is one that is equal in all aspects to another token of the same category. For example, one Golem-ERC20 token is identical to another Golem token. Similarly, you can say the same thing for OmiseGO tokens, they are fungible. A similar case you can draw for cryptocurrencies like Zcash where one ZEC is equal in all aspects to another ZEC because they all are created equal. Another cool example of fungibility can be a $10 note. The dollar note in my pocket is similar to yours, and with this note, anyone will fetch the same value of goods and services in an open market. Wikipedia Defines: A non-fungible token (NFT) is a special type of cryptographic token which represents something unique; non-fungible tokens are thus not interchangeable. This is in contrast to cryptocurrencies like Bitcoin (on lightning), and many network or utility tokens that are fungible in nature. A non-fungible token’s USP lies in not being equal to another non-fungible token. For example, one Cryptokitty is entirely different from another CryptoKitty just like one Pokemon card is different from another. This non-fungibility forms the backbone of digital collectibles. 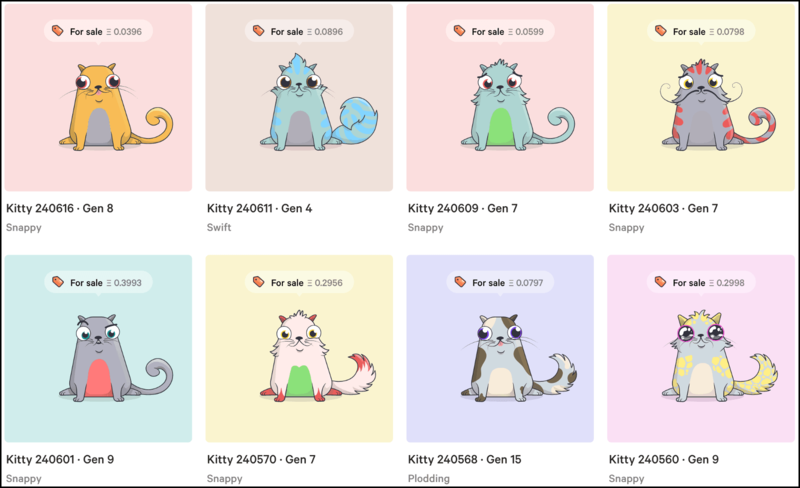 Because let’s say in case of CryptoKitty, each Kitty is unique in its own way based on age, breed, color and even DNA. So one Kitty cannot be swapped merely for another like we do while transacting money because these two kitties are fundamentally different and hence of different value. Of course, you can trade one Kitty for another from a trade perspective if the two parties agree to do so but otherwise, they are not created equal. ERC721 is another free and open source standard for implementing tokens over the Ethereum blockchain, just like ERC20. This token standard defines how to create non-fungible or unique tokens on the Ethereum blockchain. In this standard just like ERC20, ERC721 defines the minimum interface requirements a smart contract must implement to allow non-fungible tokens to exists (i.e., manage, own, and trade). However, it doesn’t mandate a standard for token metadata or restrict adding supplemental functions. ERC1155 is a superior token standard for Ethereum based tokens that allows you to create fungible, non-fungible and semi-fungible tokens all through one smart contract in contrast to ERC20 or ERC721 which either allow a fungible or a non-fungible token. Apart from that through this multi-token standard, a single deployed contract may include any combination of fungible tokens, non-fungible tokens, or other configurations (for example, semi-fungible tokens). So can create multiple tokens in a single contract using ERC 1155. In more simpler term, non-fungible tokens are the best tool to create digital verifiable uniqueness to digital items like crypto-collectibles, in-game pieces of equipment etc. 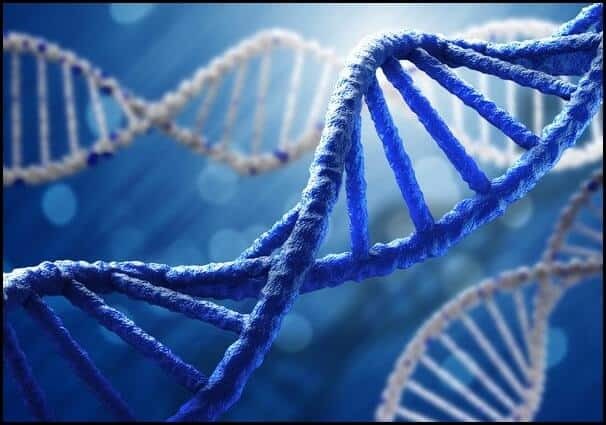 Just like human DNA which is unique for every human being. This way NFTs can create provable sovereign digital ownership a reality where you remain in control of your collectibles like CryptoKitties, CryptoAnimes, etc. NFT’s application doesn’t end here because it can be used in real life for making, managing, and transferring rights of real-world assets. For example, with the help of real asset-backed non-fungible token, you can automate the land deed process from creation to transfer, all on the blockchain. Of course, this blockchain has to be a managed one, let’s say under the government, but it can eliminate many friction points in the real-estate market. One of the top examples of this could the be the case of farmers. Farmer around the world struggles to prove ownership of their land in situations where their land documents go missing due to some natural calamity or else. In such cases, unique NFT tokens that actually represent different pieces of real estate in the country can help the farmers. And not only farmers, but even the governmental land registration body can also immensely benefit from it because now they don’t need to spend too much on the administrative or legal front for dispute resolution or transfer of deeds. The blockchain and NFTs can take all this in care. Wait, does it sounds like a miracle? Land ownership system is grappling under fraudsters and people often fear being duped with fake land certificates. Land records in most states date back to the colonial era. The disputes over titles often end up in courts. In fact, over 66 percent of civil cases in India are property-related disputes. According to the McKinsey Global Institute, distortion to India’s land markets is a barrier to faster growth, accounting for 1.3 percent of lost GDP growth every year. To deal with such a crisis, the state government wanted to use the technology in managing land records first. Putting India’s land records on blockchain would help in reducing fraud, increase efficiency and in return boost economic growth. It will also lessen the administrative hassle of registration and title transfer. Non-fungible tokens usually have digital images unlike the fungible ones because it is best to give a feel-good factor to the owner of that NFT. Sometimes these tokens represent virtual lands or digital cats but can also represent real-estate deeds in the real world. 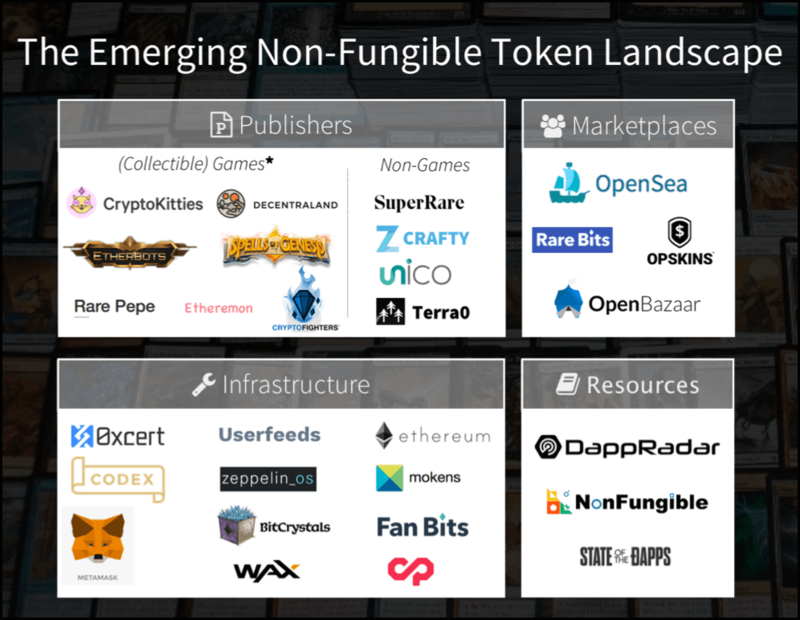 Some of the examples of non-fungible tokens are listed but they all are from the virtual world. #1. Decentraland is an open source gaming platform that represents a virtual world where you can have virtual pieces of land and other collectibles. #2. Cryptofighters is a game which allows you to collect, battle and level up your fighters to win new fighters. #3. Etherbots is a game where you can put together a robot from various (NFT) parts and have them fight against each other. #4. 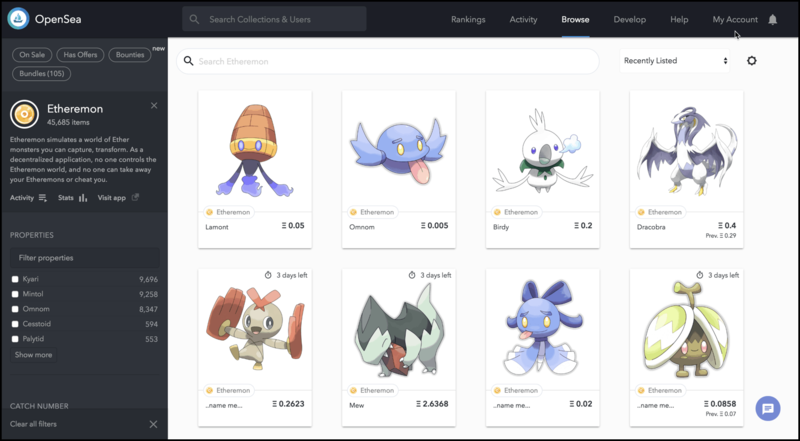 Ethermon is like pokemon on the blockchain. #5. Rare peppes one of the earliest crypto collectible implementations based on Counterparty. #6. Spells of Genesis, a digital card game with some elements of trade-ability of cards enabled through Counterparty. Apart from that, you need a dedicated marketplace for non-fungible tokens and WAX (Worldwide Asset Exchange) is already on it where you can trade gaming “skins,” such as weapons or armor, using a non-fungible token. These marketplaces will play a huge role in the maturation of crypto-collectible markets which is expected to be a to be worth $10s of billions of dollars in the coming years. NFTs are in a very nascent stage because it has been only a year or so that the first widely adopted NFT application came out in the form of CryptoKitties. CryptoKitties initially did an outstanding job of showing the world of possibilities to other blockchain game developers, but it also asked many questions to existing blockchain infrastructure. Like, Ethereum network was clogged in December 2017 where Kitties had clogged 12000+ Ethereum transactions. Resulting in CryptoKitties increasing their birthing fee as well as intensified the cries of Ethereum scalability. Apart from that, it has also launched a race to build the most efficient NFT token standards, but in my opinion, this is going nowhere. In the realm of non-fungible Ethereum tokens only have several varieties that it is hard to pinpoint which is actually the standard. For example, now ERC721 has evolved into ERC1155, ERC998 and ERC875. To make things more entangled, now we are seeing that all Ethereum like blockchain protocols are launching their own non-fungibility standards with the launch of non-fungible stellar tokens, EOS tokens, and QTUM tokens. For example, QTUM is making QRC721. This type of development will need more matured marketplaces for the tradability of these digital goods which will be made not only on different standards but on different blockchains. From a usecase perspective, NFT tokens are being applied in the blockchain gaming and collectibles realm only. Out of these, gaming being the big shot where blockchain protocols like Loom and Tron are putting 100s of millions aside for development. And lastly, from a non-gaming angle, companies like IBM are exploring NFTs powered by IoTs to monitor car sales and automobile registrations. So that’s all from my side in the round-up of non-fungible tokens. I hope now you would be a better position to understand fungible and non-fungible tokens. If you liked this article, then don’t forget to share it on Twitter or Facebook with your friends !! I need some book or something on how to create these tokens. Can you please advice? Number #8 & #9 will be helpful in that direction from this list of blockchain books.